Four years ago, I was spending Easter with friends at Lake Ohau – a beautiful spot in central South Island wilderness. I’d just had the dismaying news that Gillies Mackinnon had decided not to take on the role of director for The Insatiable Moon. It was another setback in a long line of them. “We’ve had a concern in this project from the very beginning to gather people who had a heart and vision for the story, so that there might be some sort of genuine artistic relationship between the core players. I, and I know the producers, are convinced that you would be the ideal director for the story. There are few people who have the right instincts and approach for the constituent elements of this film. 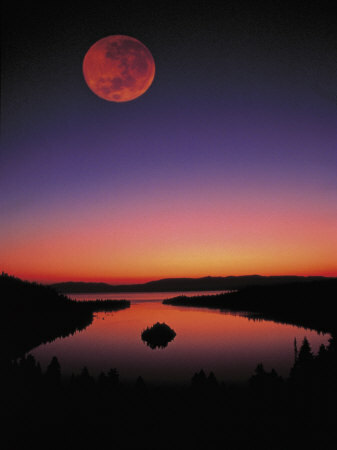 In the meantime, we were out walking one Easter night, and watched the full moon rising over the lake. In the foreground was a sign proclaiming ‘Mackinnon Drive’. We joked about the moon over Mackinnon. But eventually he turned us down a second time. It wasn’t until much later that a very tenacious Pip Piper went back to him yet again. And now he is attached to Moon as director. I always had a gut feeling that he was the man for the job. The making of a film is a mystery as well as a process. Here we are at Easter yet again, and once more the moon is full.